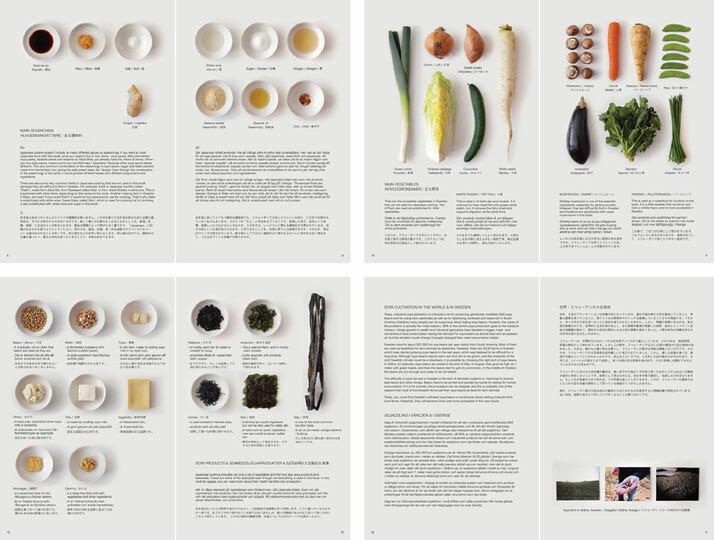 Originally a native of Japan, Moé Takemura recently graduated from Lund University in Sweden where through her MA in industrial design, she created a new cookbook titled Guide to the Foreign Japanese Kitchen; aptly titled as the book describes how traditional Japanese cooking is possible in Sweden with locally sourced ingredients. 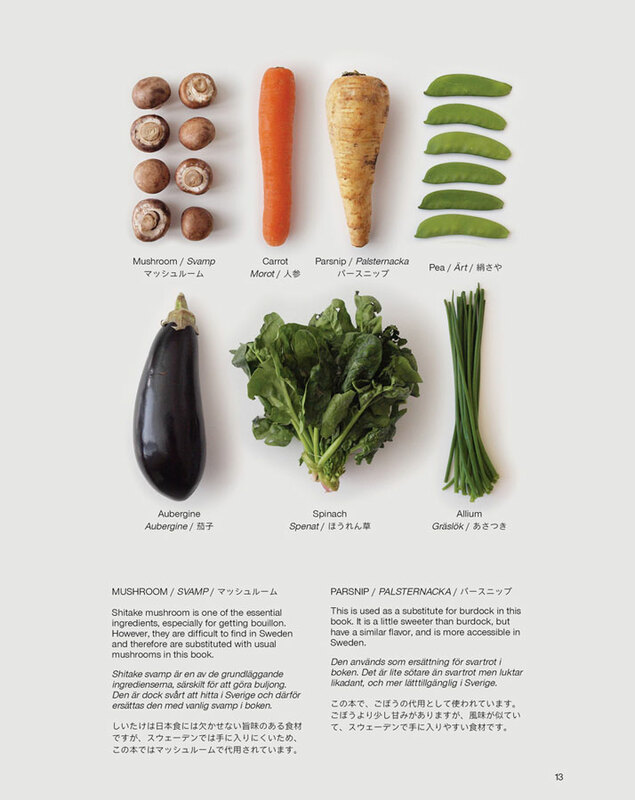 The approach makes sense; traditional cooking was always limited to the locally extracted ingredients. 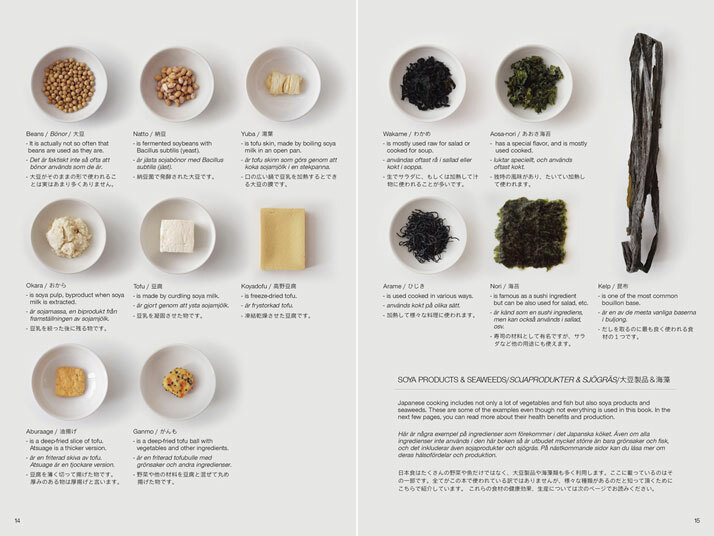 Today's food world however revolves around a life of luxury; chefs and home cooks have the option to cook with a wide variety of ingredients spanning the globe where seasonality no longer proves to be a problem in sourcing fresh ingredients. 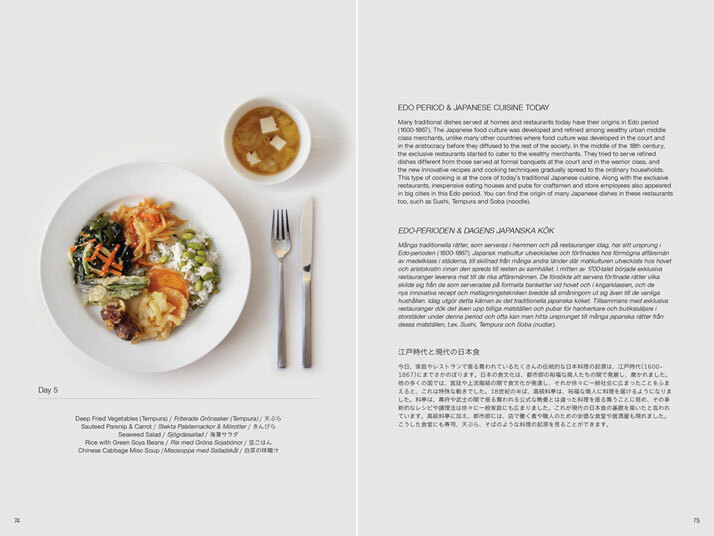 The project developed by Moe discusses what drives people's selection of food; ''pleasure and excitement as well as safety and reliability.'' There's a dichotomy in these needs; nutrition isn't always involved in the foods we seek for pleasure. 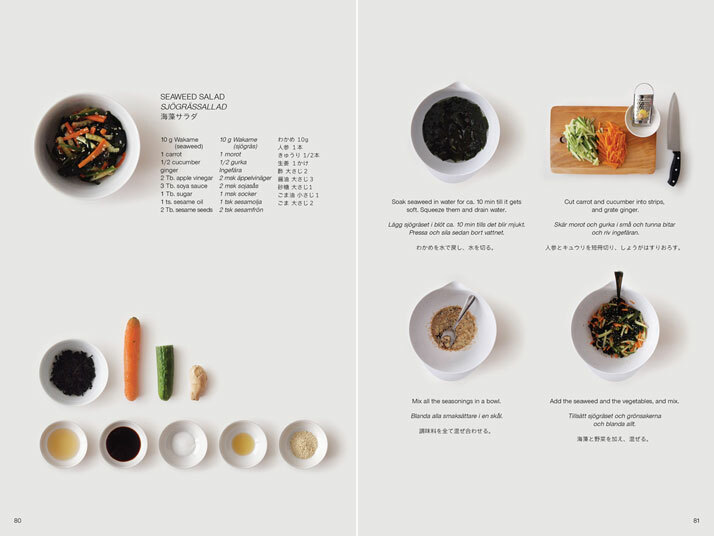 Her project was determined to understand and resolve this problem while simultaneously educating its readers on Japanese culture through food as it is made with local Swedish ingredients in a sustainable way. 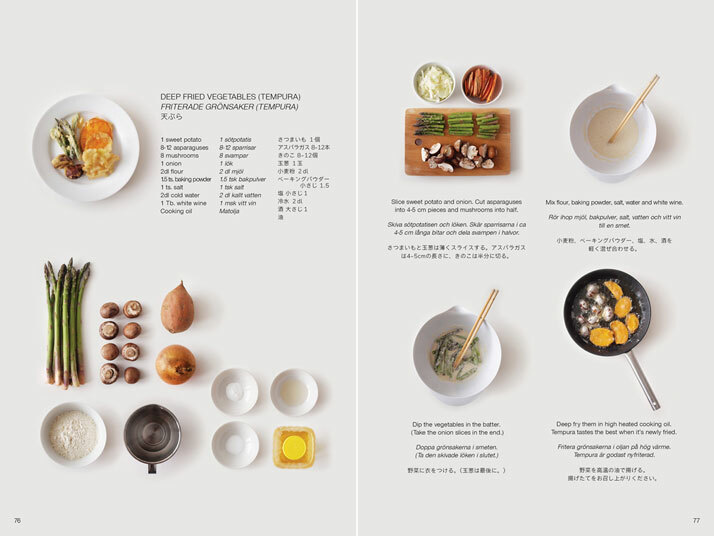 The book Guide to the Foreign Japanese Kitchen discusses meal composition, ingredients, techniques, presentation and tableware. 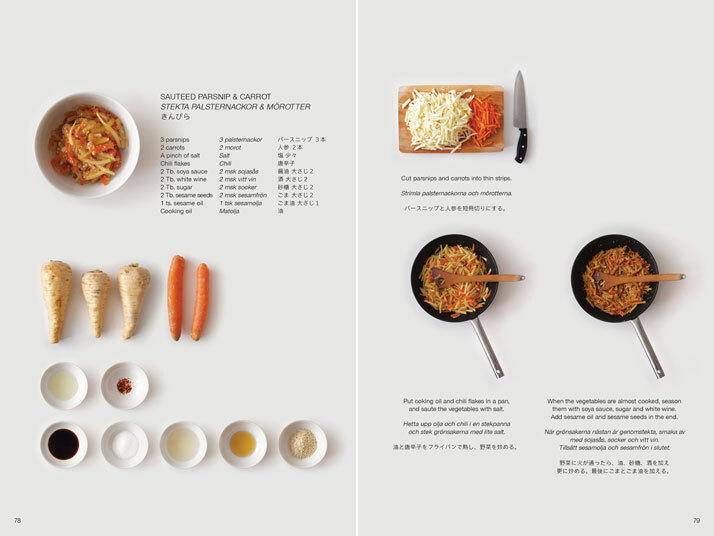 With the 30 featured recipes, Moe provides guidelines for substitutions and modifications for any cultural environment (not just Sweden). 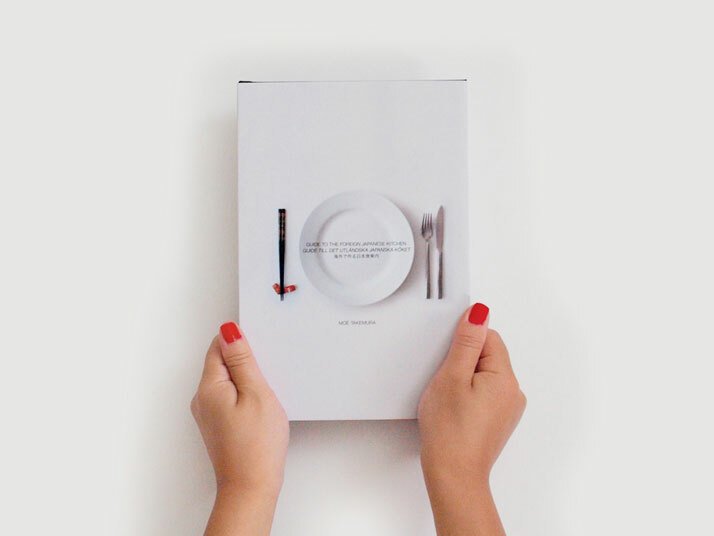 The book is beautifully executed with clear descriptions, visually appealing layouts and clean organization and its simplicity is perfect for someone unfamiliar with the ingredients and/or cooking techniques. 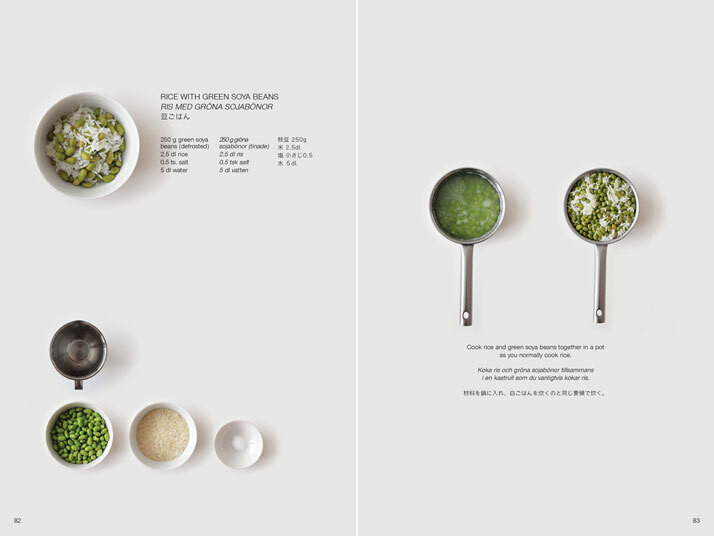 Beautifully executed and timelessly documented, this cookbook will soon become a part of our collection. 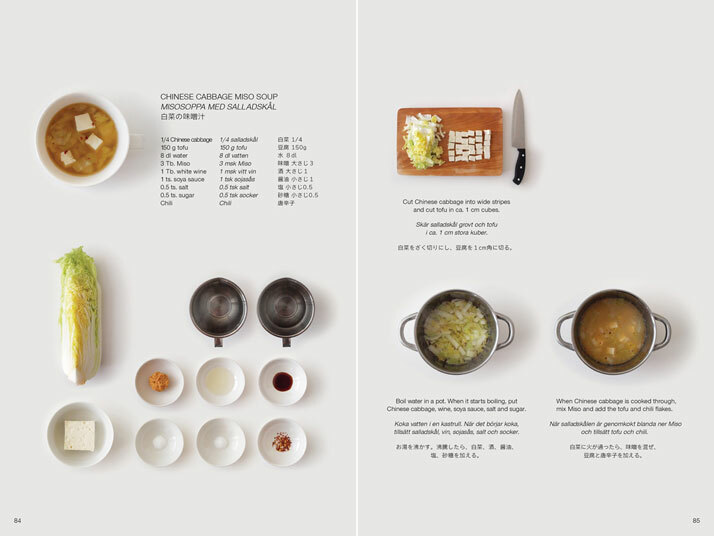 The project is spot-on as it relates to the world of cooking we live in today; and we would definitely be excited to see this same concept transfer to other culture specific cuisines.